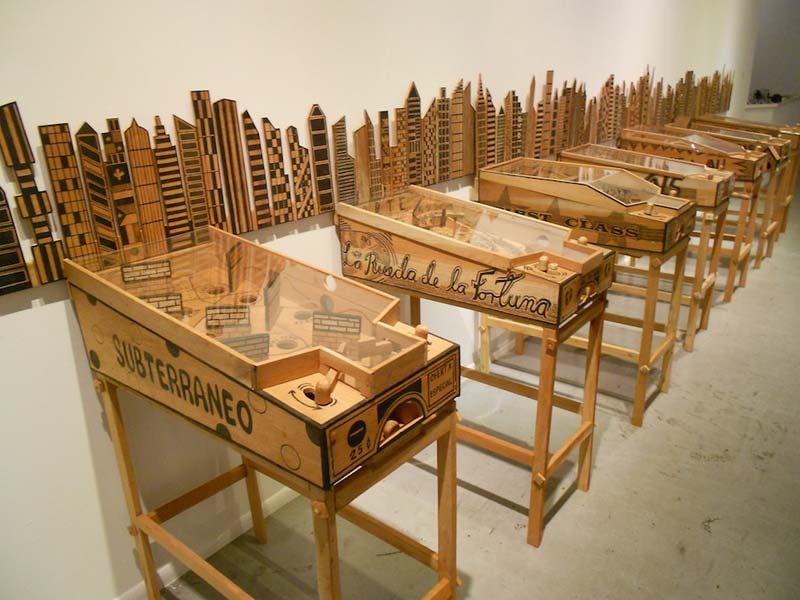 Cuban artist Abel Barroso creates wooden sculptures in the shape of games such as pinball machines, fooseball tables, monopoly boards to birdhouses, backpacks, and numerous technological devices from computers to mp3 players mostly using wood. Though these sculptures have a quirky and playful style to them, upon closer inspection one sees they dwell on serious themes such as social borders, immigration, and poverty from a satirical point of view. 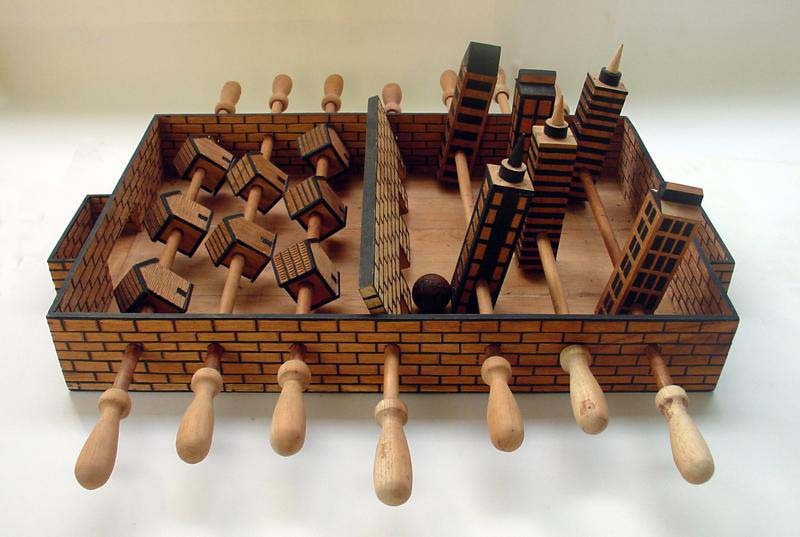 Barroso’s biggest project is likely to be The Emigrant’s Pinball Machine (Pinball del Emigrante), composed of seven interactive games, each offering the hope of entry into a glamorous capitalist city, symbolized by a row of skyscrapers. These wooden creations—eschewing the colors, lights and sounds of traditional pinball machines—depict various methods of getting there, but the illusory nature of the quest is evident. Photos courtesy of the artist, artslant & vault.